Every snowflake is different, every snowflake is perfect. Cerrie Burnell has made a name for herself as an actress and a children’s presenter on cbeebies, as well as a theatre practitioner. Her theatre show The Magical Playroom is currently touring the UK. 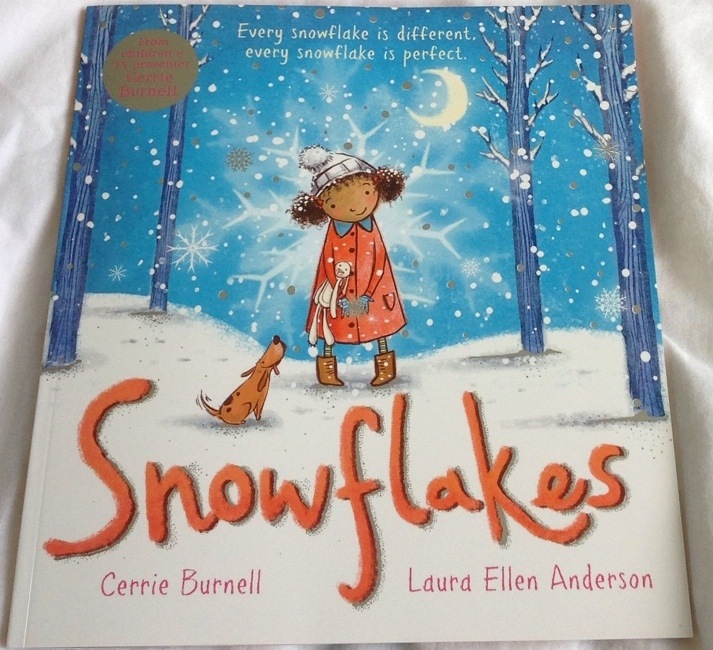 Now she has published her first children’s book Snowflake, illustrated by Laura Ellen Anderson. It’s the perfect Christmas cuddle-up book and tells a beautiful, inspiring story about embracing our differences and making new friends. Mia is a little girl who left her home in a city of streetlights and stars to live with her grandma in the depths of the forest. We aren’t told why she has left her home, and that absence speaks for itself. It allows children to question, and to view the situation from their own imagination, history, or ideological viewpoint. A lovely inclusive touch. I love the way the illustrations enhance and extend the inclusive aspects of the story, truly bringing Mia to life. The text suggests that she doesn’t look the same as the other children but Mia’s brown skin is never mentioned explicitly, it is the illustrations that show the reader. This is a beautifully subtle way of reproducing children’s experiences of encountering diversity. 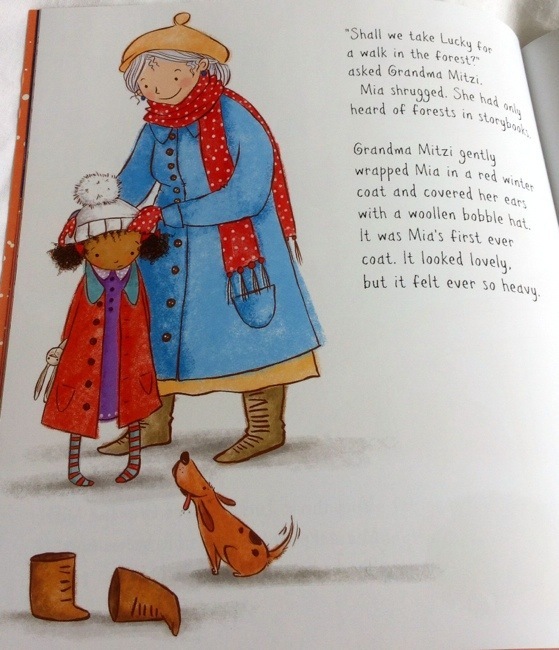 Mia’s grandma is full of warmth, in the text descriptions as well as the gorgeous illustrations. Who wouldn’t want her as their grandma? But Mia hardly knows her and has only heard of forests in storybooks, everything is new and different and she doesn’t look the same as the other children. She is nervous of her new beginning. Her days are full of new experiences; her first encounter with hens, her first feel of snow. Her first visit to school! The shining moon and the perfect snowflakes remind Mia that everyone is different and everyone is perfect and she embraces her new start, her new found friend, and her new home. A touching story that will entertain and inspire children. A beautiful way to introduce equality and inclusion, and to soothe worries about new beginnings, this book feels gentle and warm and natural. Particularly impressive as Snowflakes is the debut picture book from both author and illustrator! I’m excited about seeing them both grow and explore their talents. Source: bought from my lovely local children’s bookshop, Bags of Books. A Deal’s a Deal, Poo Bum!